Goal Zero Lighthouse 400 Lantern and USB Power Hub gives you the brightest lantern light and recharges your phone. Dimmable and turbo settings for adjustable light, up to 400 lumens. 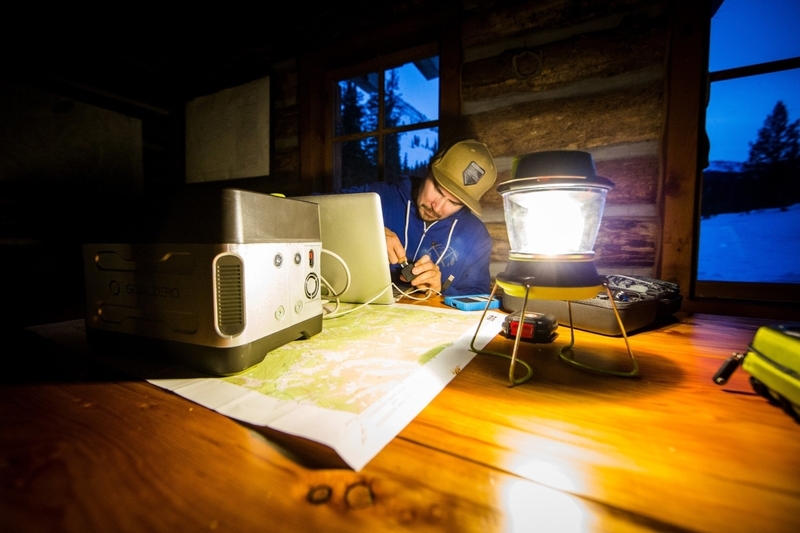 Recharge the internal battery from any USB port or from a Goal Zero Nomad Solar Panel. 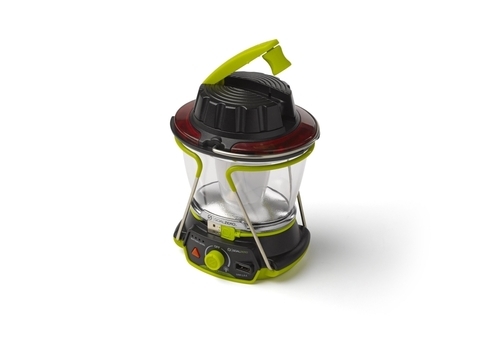 Use the built-in hand crank to charge up instantly and never be left in the dark. 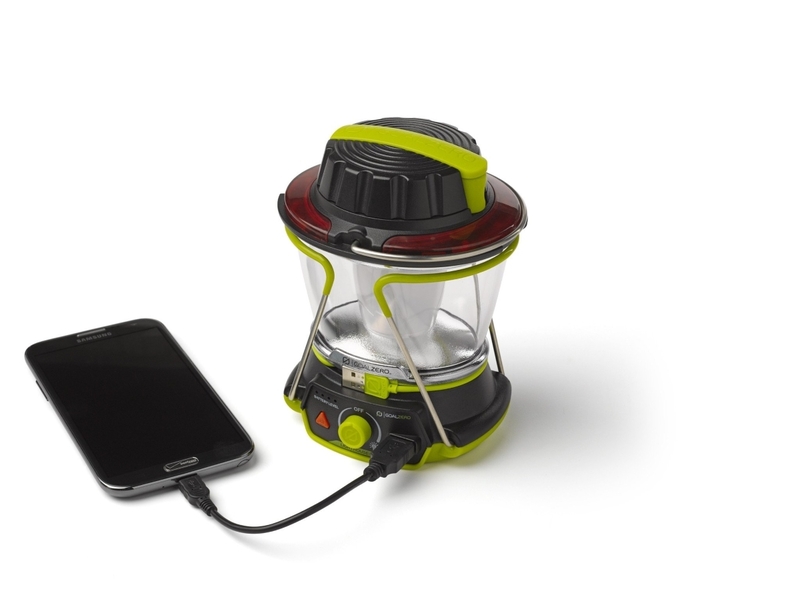 Internal lithium battery boasts 4,400mAh with a 1.5A USB output, enough power to recharge phones and tablets even off grid. Collapsible legs provide a stand for taller light and fold in for convenient storage. Built-in handle for easy carrying and hanging. Utilize 360 degree of bright LED light, or save on power and extend runtimes by illuminating half the lantern. 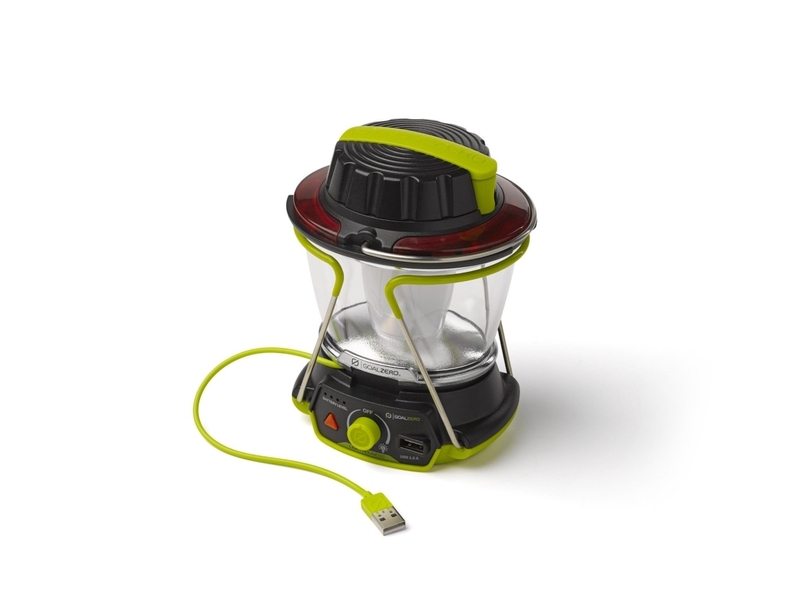 The Sun: The Lighthouse 400 can be charged by connecting a compatible solar panel. 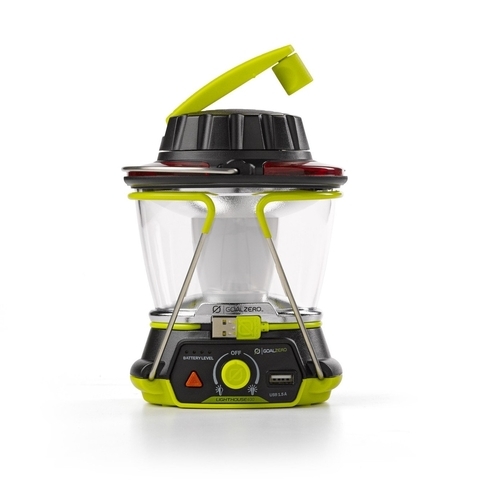 The Nomad 7 Solar Panel can charge the Lighthouse 400 in about 7-14 hours..
USB: The Lighthouse 400 Lantern can also be charged by being plugged into a USB power source. 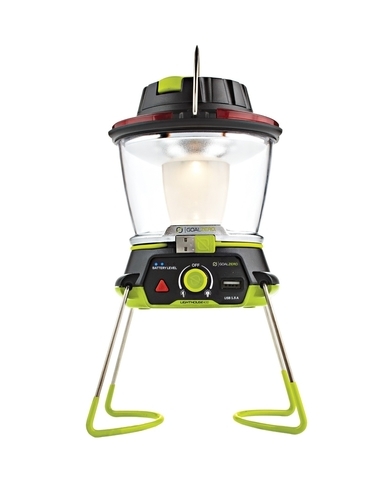 Hand Crank: When you are really in a pinch, use the hand crank to get 10 mins of light for every 1 minute of cranking.